It was a sunny, summer afternoon, but a cloud of sadness and worry and death hung over our house like the proverbial monster in the closet that nobody wanted to talk about. My grandfather had died eighteen months earlier at the young age of 52 in a faraway hospital in the big city. My grandmother had lived with us for a time, gone to help my aunt on her mission trip in Mexico, and was now going to live in the used but serviceable mobile home we could afford to get her with the small proceeds from the sale of my dad’s “ancestral” home and the pittance of a widow’s salary from social security, which for a carpenter who charged just what he thought a job was worth came to a whopping $400 a month in 1981. In prepping the lot beside my great-uncle’s house for my grandmother’s trailer to set upon, my uncle, just 33, developed what appeared to be an appendicitis attack. When the doctors opened him up in the nearby Lamesa hospital, what they discovered was cancer, an overwhelming amount of it. They sewed him back up and sent him home with pain medications and hospice care. He had a three-year-old son, a four-year-old marriage and a handful of months to live. When you are 11 years old, these things tend to happen more around you than to you, swirling around you in black clouds of that which cannot be defined. On this particular afternoon, alone at home with my sister somewhere in the house, I couldn’t stand it anymore. I had to do something. I knew just enough about the Bible to be dangerous. I believed in God. I prayed to God. I had often wanted to go forward to be a part of what the preachers were talking about at the end of every sermon I attended. But, as my dad explained to me, I wasn’t old enough yet to really understand what it was I was stepping forward for. You’re fixing to agree with him. Because what I knew about God included the use of sacrifices, I figured, why not give it a try? I thought about what meant a lot to me. My practically-flattened teddy bear, “Sugar Bear,” came to mind. (My sister to this day takes great delight in comparing her plump version of this same bear to the one I slept with and on, apparently, each night, as he resembles my sister’s version on permanent Weight Watchers). So, with not much assurance of what I was doing, but with the optimism born of ignorance only youth can bring, I snuck into the back yard with Sugar Bear, placed him on a pile of cinder blocks, and offered him as an exchange for my uncle’s improved health. 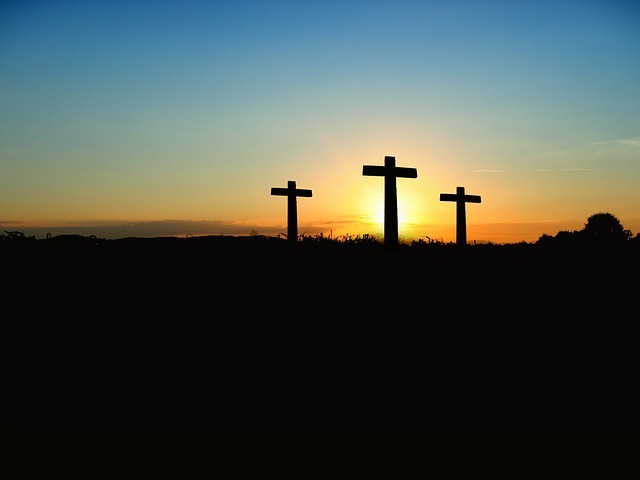 Luckily for me, I have since learned much more about the meaning of sacrifice in our relationship with God and the exact role of Christ in that relationship. Within a year of my ill-fated attempt at “miracle making,” I was indeed baptised into the family of God. And then the real learning began. Even 31 years later, I can remember sitting in class with my Sunday school teacher, Patty Taylor, who had us all mark these verses in our Bible, including our starting point and the verses to go to next, like a treasure map to the greatest prize of all time! 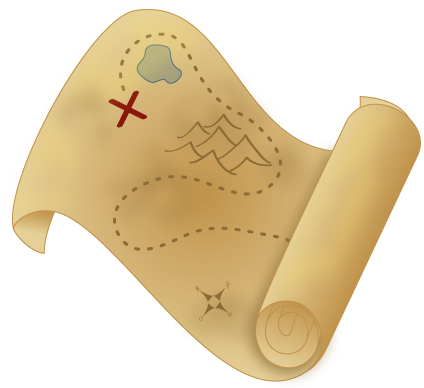 I have quoted this treasure map in the KJV from the original Bible where my young hands marked this all out, full of anticipation of being able to share this very map with somebody else some day. Today, I’m sharing it with you. Anyone who knows me personally knows that I talk about God all the time because He is a part of my life (though, believe me, I am NO saint). However, in 31 years, I think this is the first time I have actually shared the treasure map I have offered to you today. Thank you for allowing me this opportunity. I grew up in the era of fire and brimstone from the pulpit, and I tend to lean in that direction way too often, seeing the cup half empty instead of half full. But, the whole point of our Gospel Treasure, this thing we carry within us every day and everywhere, is that our cup is overflowing! What a wonderful gem to shine. No wonder Christ emphasized His role in casting Light into the darkness. So, I say to that 11-year-old trying to pray away a teddy bear in the cool breeze of a summer afternoon many years ago, focus on the promise we carry, which is the love of God. The ultimate sacrifice has already been made. Now is the time to pay it forward. at the movies where everyone cries. that we still go to bed hungry?